Much like how the third edition Dungeons & Dragons led to d20 Modern and its d20 Future/Past spin-offs, now Paizo is branching away from the base Pathfinder to introduce sci-fi universe Starfinder! Paizo has taken notably longer than Wizards Of The Coast did in getting around to the hardcover books that branch away from traditional high fantasy, with psionics not arriving until the game had been out for seven years (and taking a very different path from the traditional D&D mind powers). Now we're finally getting some space opera from the dominant force in tabletop role playing, with a solid lineup of seven classes and seven races (human + six original new races) to mix together. If the quirky class additions in previous books like Advanced Players Guide and Occult Adventures are any indication, we can expect some interesting mechanics beyond the norm from Paizo. 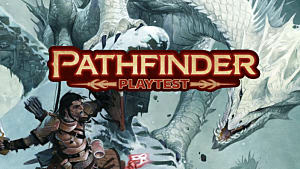 As with Pathfinder, each class has its own iconic character meant to exemplify the abilities and personality of that particular class, and each iconic is noted in the class entry below. Here we've got the Starfinder rendition of a rogue -- but with a focus on getting people to do what you want, rather than stabbing them in the back. This class gets by on charm, wit, negotiation, and a dirty trick or two. The Starfinder Envoy iconic is the human Navasi. Social skills are the focus here -- getting a full 8 skill points per level with access to 16 class skills -- with the trusty laser pistol as a backup. One main feature that has been revealed is expertise, which grants the Envoy an extra 1d6 to a growing list of skills over time. The other primary class ability are improvisations, selected at each level, that offer unique benefits like bolstering allies in battle or even taking a full extra action each round. A full class breakdown on the Mechanic hasn't been unveiled yet, but we do know they focus on engineering and building robotic companions. That seems to indicate this will be the Starfinder version of a Summoner, with the droid buddy replacing the eidolon. Based on the limited info available, it appears part of the Mechanic's abilities will involve programming different AI routines into the droid to alter their behaviors and abilities in combat. 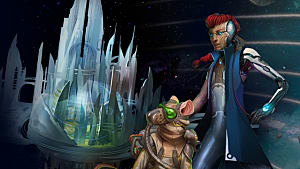 The Starfinder iconic Mechanic is the ysoki (ratfolk) Quig. An intuitive character who channels unseen forces by manipulating fundamental laws of reality, the Mystic is essentially a sci-fi spellcasting class, with a focus on biological and mental systems. The Starfinder iconic Mystic is the shirren (insectoid) Keskodai. Spells that deal with charming and emotion are a big focus, along with telepathy and repairing biological damage. There will be some offensive abilities as well, tapping into fundamental laws like radiation and telekinetic force. Besides spell choices, what sets one Mystic apart from another is in the connection chosen at 1st level that represents where a Mystic's power comes from and how that power is channeled. The connections include akashic, empath, healer, mindbreaker, overlord, and star shaman. 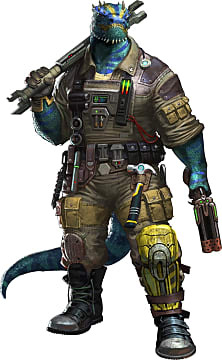 The stealthy ne'er-do-well of the Starfinder universe, Operatives strike from the shadows, working as professional smugglers and assassins. 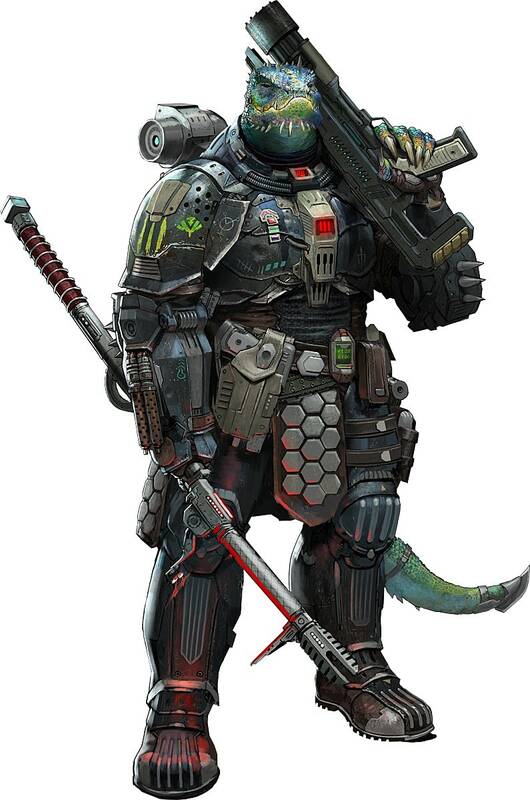 The Starfinder iconic Operative is the android Iseph. Due to their wide range of skills required to stay alive, an Operative receives the edge ability that grants a bonus to all skill and initiative checks. No stranger to combat, Operatives get trick attacks that modify the damage done with melee or small arms fire. To further differentiate each Operative, a player must choose between seven specializations that include varying rules: daredevil, detective, explorer, ghost, hacker, spy, and thief. More than your basic grunt fighter, the Soldier specializes in heavy weapons over all forms of attack, and also utilize jet packs for combat maneuverability. The Starfinder iconic Soldier is the vesk (reptilian) Obozaya. Obviously these characters have the highest base attack bonus progression, and each player who picks the Soldier class chooses a fighting style that twists the core mechanics of the class: arcane assailant, armor storm, blitz, bombard, guard, hit-and-run, and sharpshooter. At seventh level, a Soldier picks a second combat style, adding in some of the basic abilities from that second choice for even more options in battle. This class is still somewhat of a question mark, as the full extent of its abilities and powers isn't yet known. 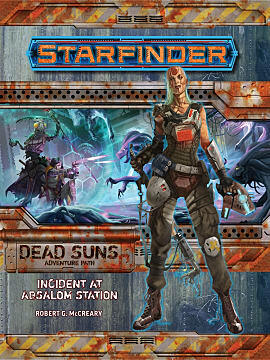 The Starfinder iconic Solarian is the kasatha (four-armed desert dweller) Altronus. From what can be gathered from dropped tid bits so far, it seems the Solarian will mix melee and magic, harnessing the inherent powers of stars and black holes to augment and bolster their weapons and armor. Another magic-focused class, the Technomancer blends advanced science with mystical abilities. The Starfinder iconic Technomancer is the lashunta (telepathic race) Raia. A counterpoint to the Mystic, the Technomancer frequently utilizes computer programming or mechanical equipment to achieve desired effects, from controlling electricity to taking over security cameras. If you don't want to focus on healing or prefer a more futuristic bent to your spellcasting class, rather than a naturalistic one with the Mystic, the Technomancer is for you. When can you try out these classes? Starfinder's core rule book set to drop August 17th, 2017. A full Starfinder adventure path of six bi-monthly adventures kicks off not long after the core book, with its first entry called Incident At Absolom Station. Can't wait that long? 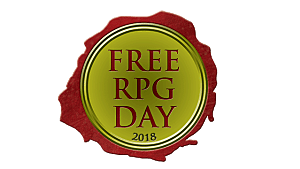 A small introductory adventure titled First Contact will arrive for this year's Free RPG Day celebration at your local game store on June 16th! 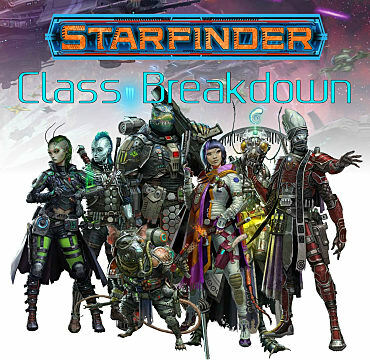 Which Starfinder class are you most looking forward to playing? Let me know in the comments below!